Before 1969, the hillside directly east of the historic district in Breckenridge was vacant land steeply rising from High Street. It had been part of the Bonanza Mine, and not nearly as easy to build upon as the nearby land that was served by the gently rising road, Wellington Road, out to the Wellington Mine. But in 1969, Fritz Benedict, one of the founders of the Aspen Institute, decided to develop part of this terrace, and designed Hinterthal Townhomes. Located on Pine Street between what is Lincoln and Washington, in downtown Breckenridge, the Hinterthal townhomes for sale are just a steep 10-minute walk from Main Street. 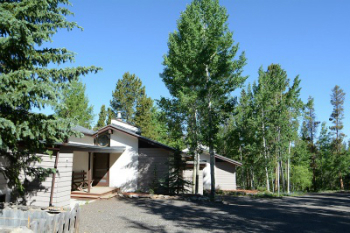 See current Hinterthal townhouse listings below, or find out more about this quiet community. Benedict had been a student of Frank Lloyd Wright and was a modernist architect. 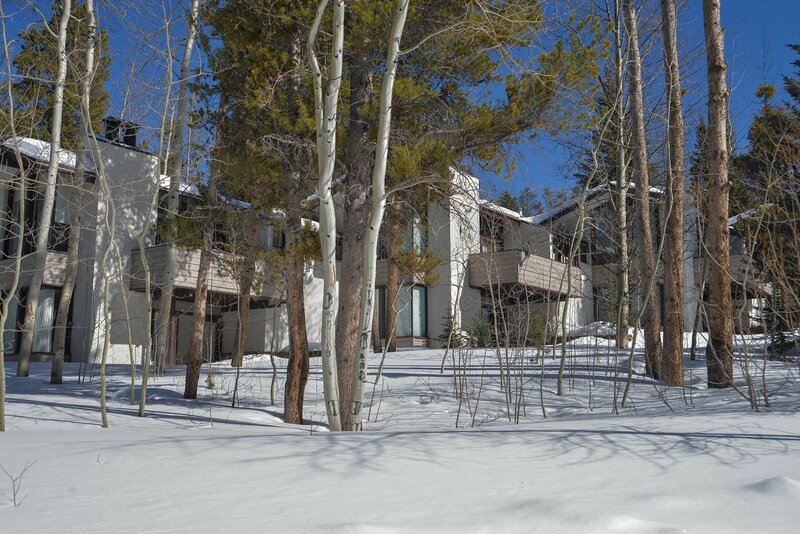 He’d come to Breckenridge to design the base area, and also the Hinterthal Townhomes. Jean Claude Killy was a previous resident of one condo and lent his name to the marketing efforts for the townhomes that bragged about being very modern, and offering rheostat-controlled lighting – dimmers. 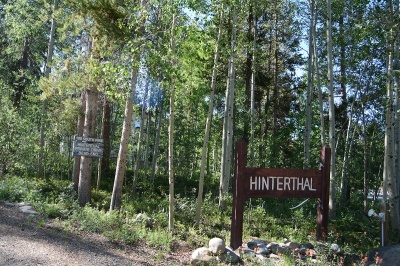 Although Hinterthal sounds like its near the end of the world, these townhomes are a block from Gold Flake Terrace, and just a flight of stone stairs from the Breckenridge historic district. Open space parcels in the nearby Gold Flake subdivision lend easy access to national forest from any Hinterthal condo for sale. Size: from 1397 sq. ft to 1508 sq. ft. Amenities: located just a block above the historic district, great views, small complex, interesting modern architecture, ‘rheostat-controlled lighting’. 100 S Pine St. -- From the traffic circle on the north side of Breckenridge take the Main Street exit and continue south to Wellington Road, turn to the east and continue up the hill to Royal Tiger Road. Turn right and then in a block veer right onto Pine Street. The condos are a block farther. Looking for more information about Hinterthal? Email us or give us a call at (970) 453-2200.